Did you know Anaheim Hills sewer camera inspections promote less expensive sewer repair services? Today a growing number of property owners request this service! Ask Scott English Plumbing to provide a rapid video camera inspection of your home’s plumbing system. 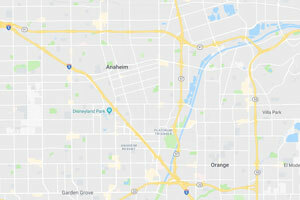 We maintain offices conveniently located in Suite H at 1230 North Jefferson Street in Anaheim (in the 92807 zip code area). Call us now to schedule this service by dialing 949-462-9773 or 714-987-9801. What do speedy Anaheim Hills sewer camera inspection services involve? Basically, we thread a tiny digital camera through your home’s sewer pipes. It allows us to see the location of any plant roots growing into the pipe. We also sometimes spot places where pipes have narrowed or clogged. Once we obtain this information, we can perform more rapid leaky sewer pipe repairs or replacements. Scott English Plumbing offers excellent plumbing video camera inspection in Anaheim Hills. Not every local plumbing company uses this exciting new technology. Our plumbers rely on camera inspections to help us perform our work more rapidly and efficiently. We appreciate the benefits for our customers of relying on this new way to see the inside of an underground pipe. How does sewer camera inspection help some customers save money on their plumbing bills? By allowing us to find leaks in pipes fast, a video camera inspection of the sewer pipes in a residence reduces the time we spend searching for the site of damage. Customers pay less money as a result. Additionally, using this high tech method enables some customers to avoid paying to rent the heavy machinery required to dig up broken sewer pipes during an extended search for leaks. Do you believe a drain line camera inspection in Anaheim Hills might help us detect problems with your home’s sewer pipes more quickly? Simply call us now at 949-462-9773 or 714-987-9801 to request Anaheim Hills drain inspection services today! We’ll schedule a service appointment to visit your home and perform a fast inspection of the plumbing system. We’ll let you know immediately if we detect possible problems with your home’s sewer pipes and drains!